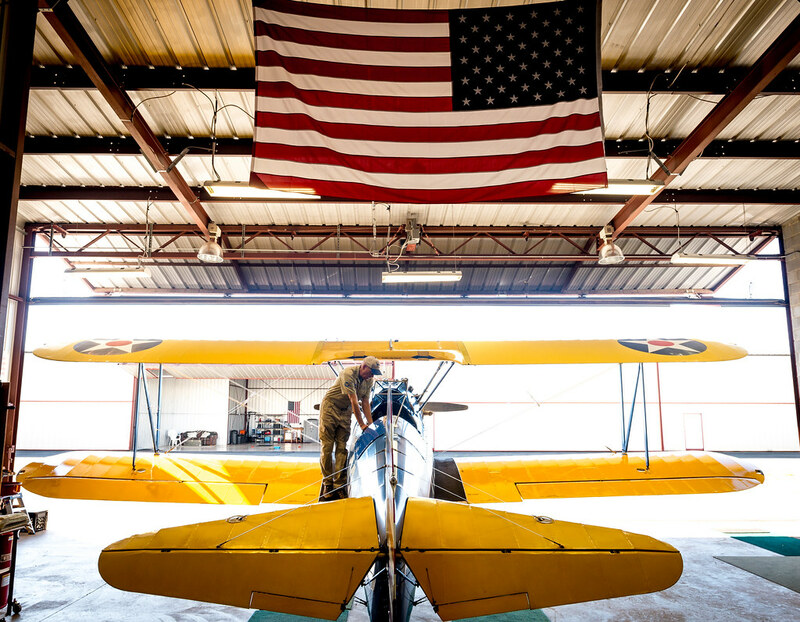 The Stearman model 75, or Stearman Kaydet, was the primary trainer for Army and Navy pilots for more than a decade. 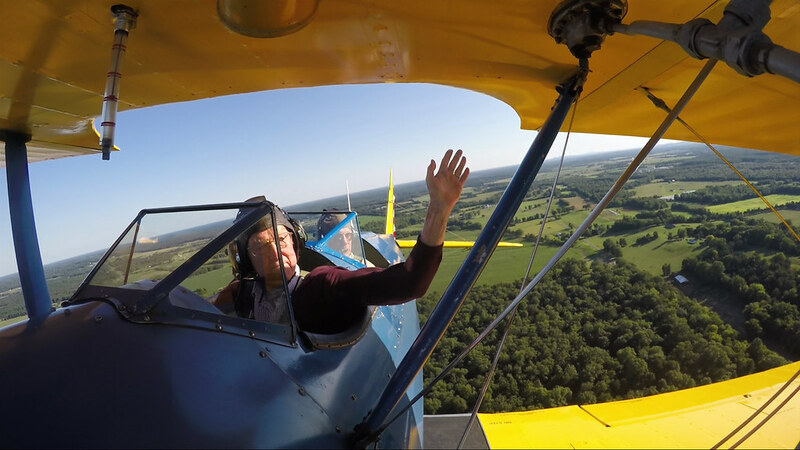 The two-seater biplane’s simple and sturdy design made it ideal for novice pilots. 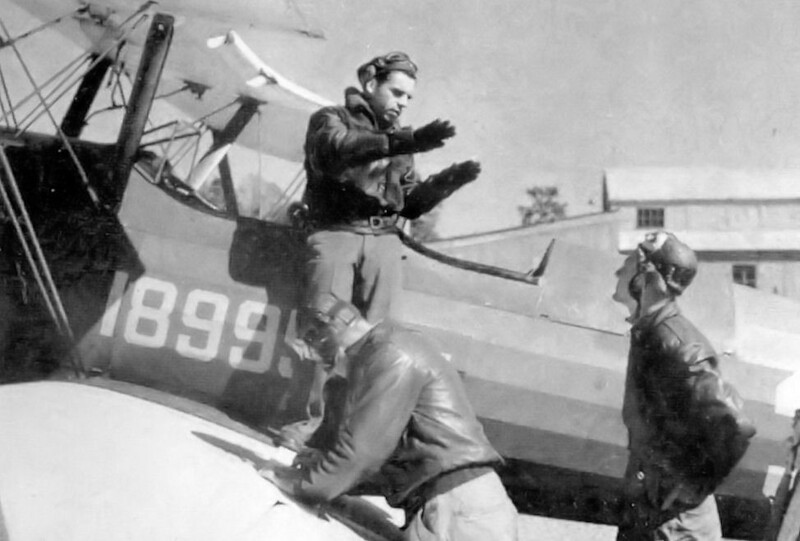 Instructor with a cadet beside a PT-17 during Basic Flight Instruction Training at Southern Field, Georgia, 1943. The aircraft was designed in 1933 by Lloyd Stearman for the civilian market and introduced in 1934. The Kaydet’s construction consisted of a fabric covered steel fuselage and wooden wings. 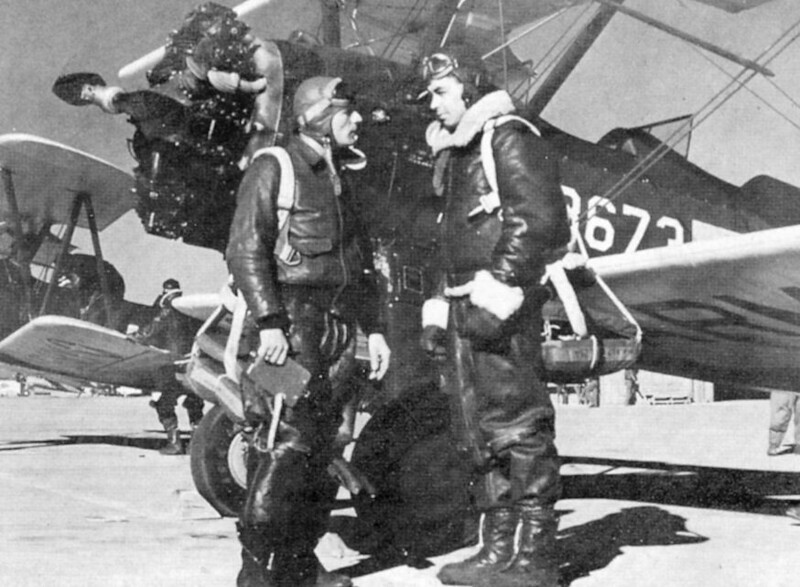 The model 75 received the designation PT-13 Kaydet when the U.S. Army Air Corps adopted it in 1936. 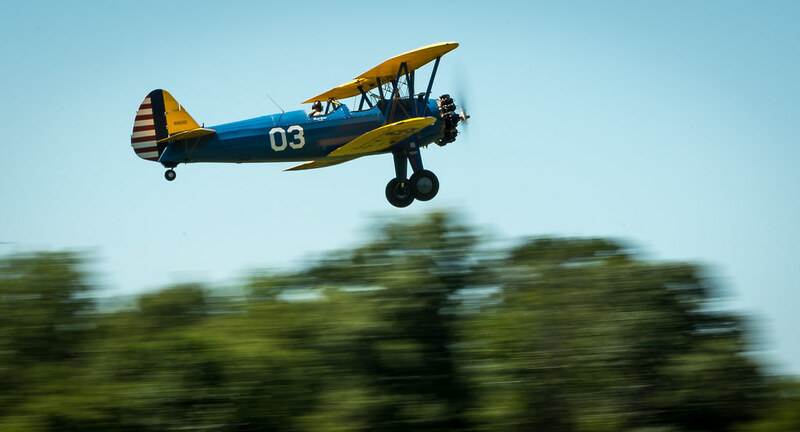 Two years later, the Boeing Airplane Co. purchased the Stearman Co. and continued producing different versions of the Kaydet using different engines. Those aircraft with a Lycoming engine were designated the PT-13; with a Continental engine, the PT-17 and with a Jacobs engine, the PT-18. 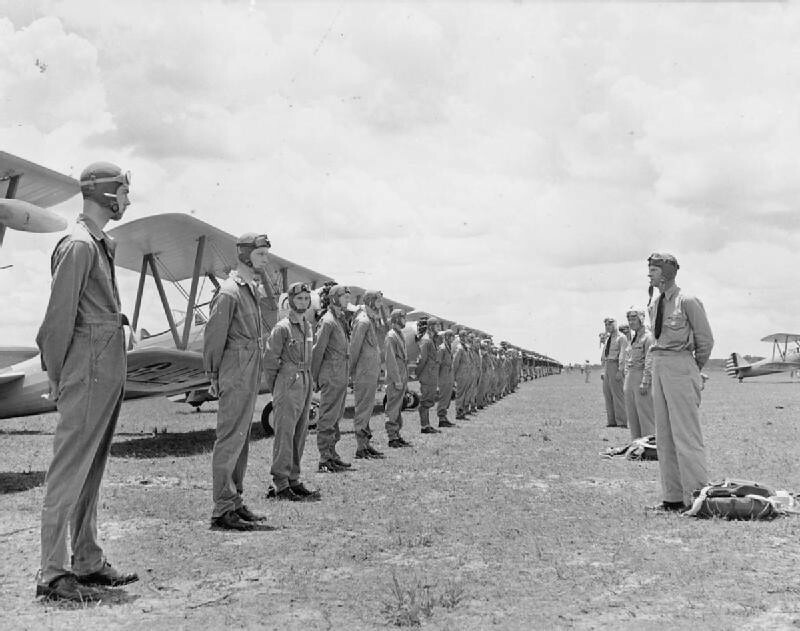 Thousands of pilots were trained with the Kaydet during World War II. 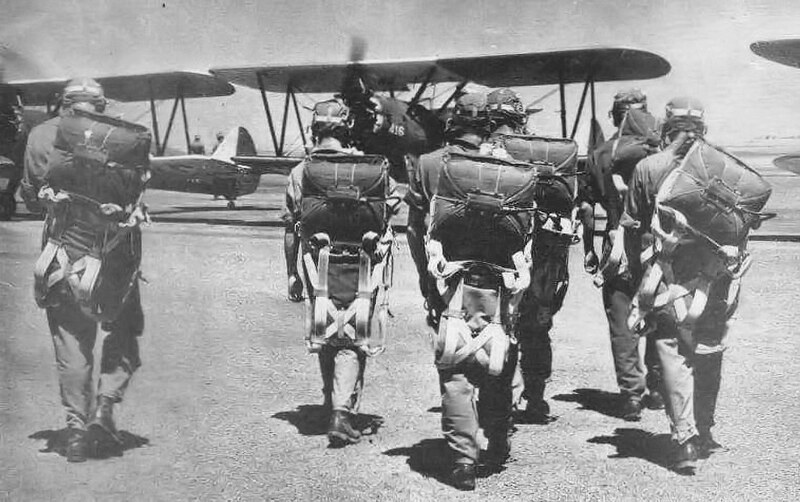 Following the war, the U.S. Army Air Forces phased out the aircraft in favor of more modern trainers. – After World War II many Kaydets were sold to private buyers and converted into crop dusters. – The trainers were sold to Canada, China, the Philippines, Venezuela, Argentina and Brazil for both military and civilian uses. 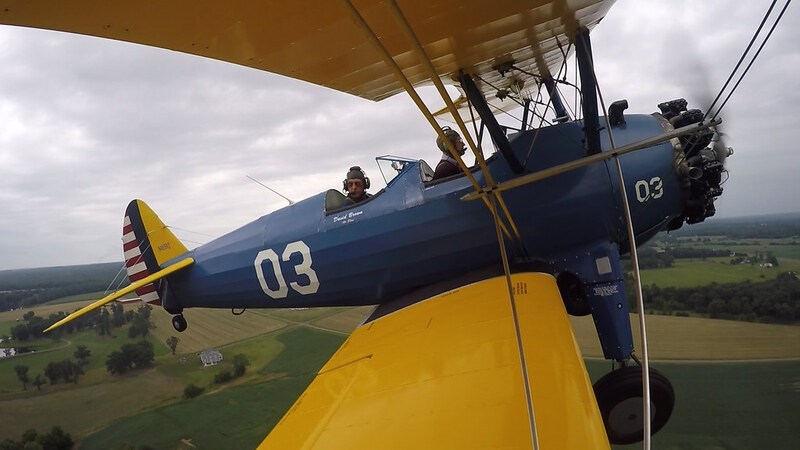 – During its 11 years, more American military pilots learned to fly in the Stearman model 75 than any other airplane. 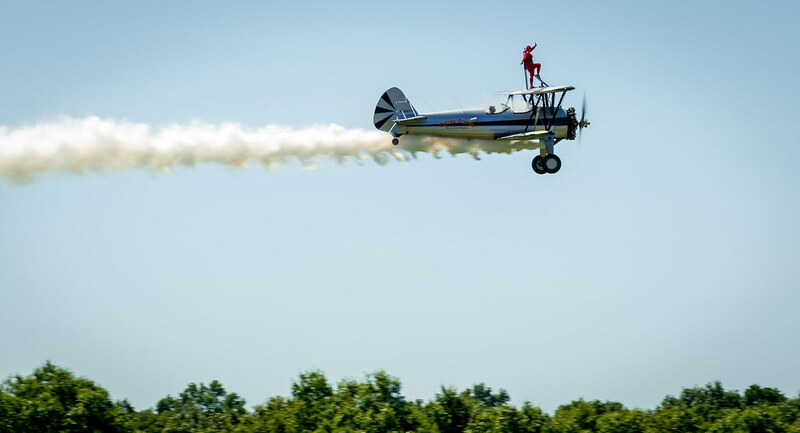 Dave Brown takes off in his PT-17 Stearman biplane before performing aerobatics at the Flying Circus Aerodrome and Airshow in Bealeton, Va., Jul. 30, 2017. 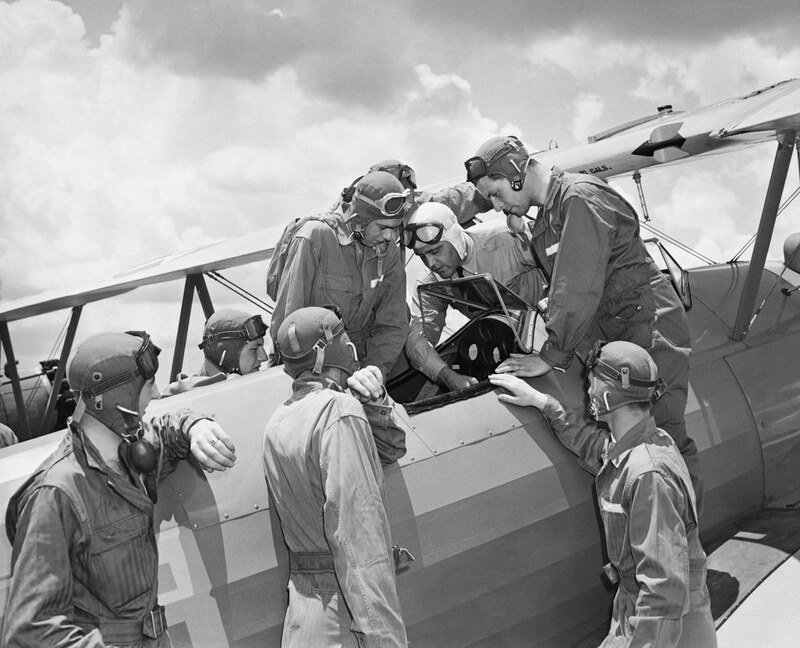  Archived in Airframes, History. Bookmark the permalink.